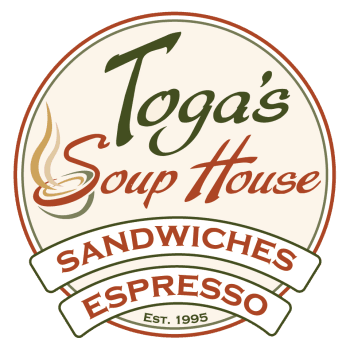 Toga's Soup House Sandwiches and Espresso brings back the ambiance from the fine dining day's. Also offering other evening dining options, corporate fine dining buffets, wedding rehearsal dinners, pre- order sit down dinners. Please call 360 - 452-1952 or email for more information.